Have you ever wanted to know how to make a cheesecake? Are you looking for the perfect cheesecake recipe? Do you need an easy but elegant and delicious dessert for your Thanksgiving dinner or a dinner party with friends? 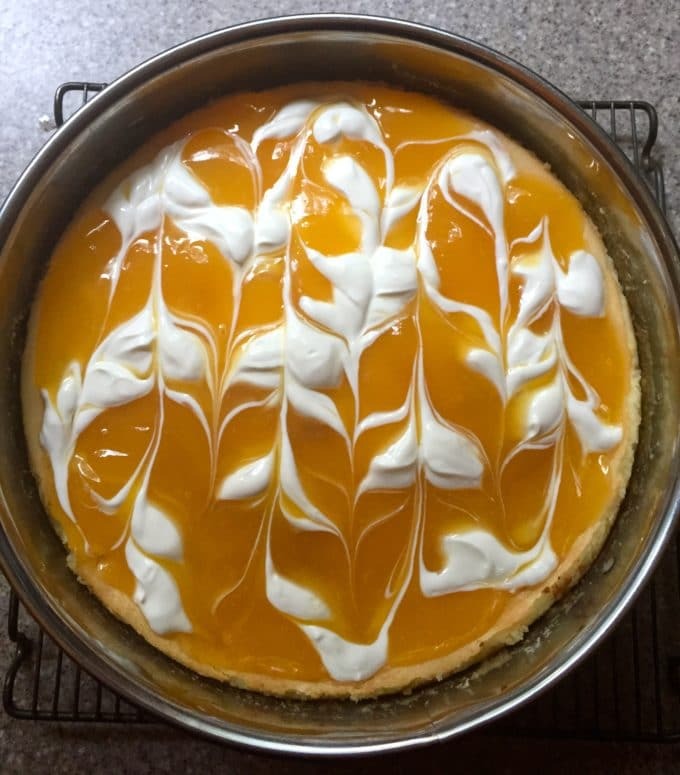 If your answer is yes, check out my Luscious Lemon Swirl Cheesecake! Luscious Lemon Swirl Cheesecake is easy, it’s elegant, it’s out of this world delicious, and it’s the perfect cheesecake to serve your family and friends. The crunchy crust is made with graham cracker crumbs, no surprise there, but two surprise ingredients, toasted walnuts, and lemon zest makes it one of the yummiest crusts you will ever taste. If you are a true lemon lover, well let’s just say this might be the most decadent and delicious dessert you have ever eaten. Frozen lemonade concentrate, lemon curd, and lemon zest are what make Luscious Lemon Swirl Cheesecake so lusciously lemony! 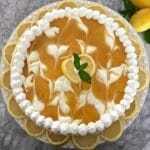 It’s a lemon lovers dream! If you have previously shied away from making cheesecake because you thought it was too hard, relax. Although there are a few more steps than most of my recipes I’ve broken it down for you into easy to follow directions and unlike most cheesecake recipes you don’t have to bake it in a water bath. All you need to make Luscious Lemon Swirl Cheesecake is a 9-inch springform pan which makes it easy to remove the delicate cheesecake. 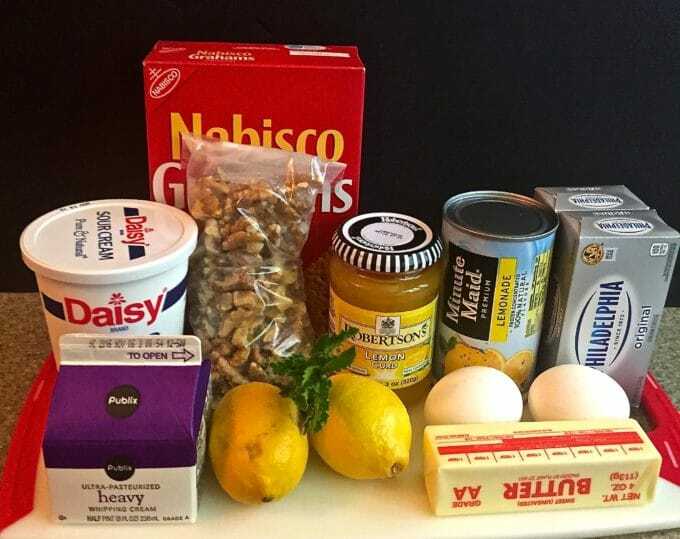 You will also need graham crackers, toasted walnuts or pecans, butter, the zest of two lemons, cream cheese, sugar, frozen lemonade concentrate, sour cream, eggs, a jar of lemon curd, heavy or whipping cream, and lemon slices and mint for garnish. This cheesecake does need to chill for 8-12 hours, so be sure to plan ahead. 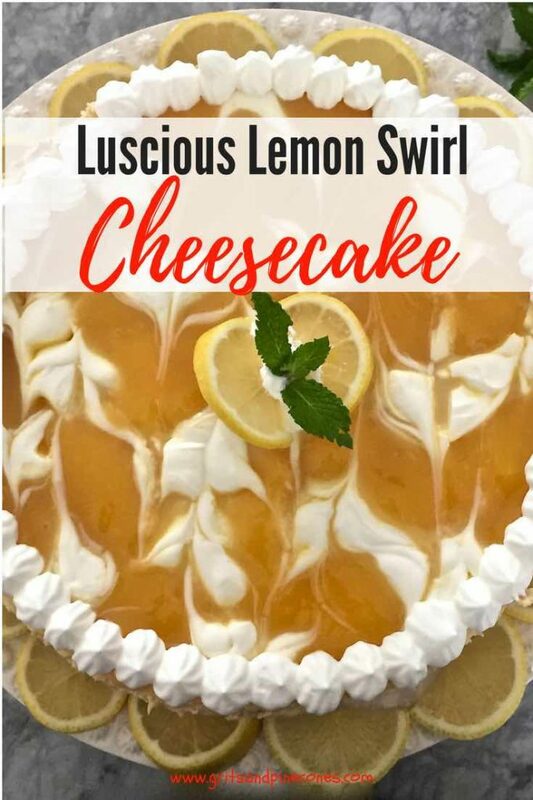 If you like this Luscious Lemon Swirl Cheesecake recipe, you might also like these lemon based desserts: Luscious Southern Meyer Lemon Bars, Easy No-Cook Meyer Lemon Ice Cream, and Frozen Lemonade Pie. Check out all of my other desserts by clicking here! 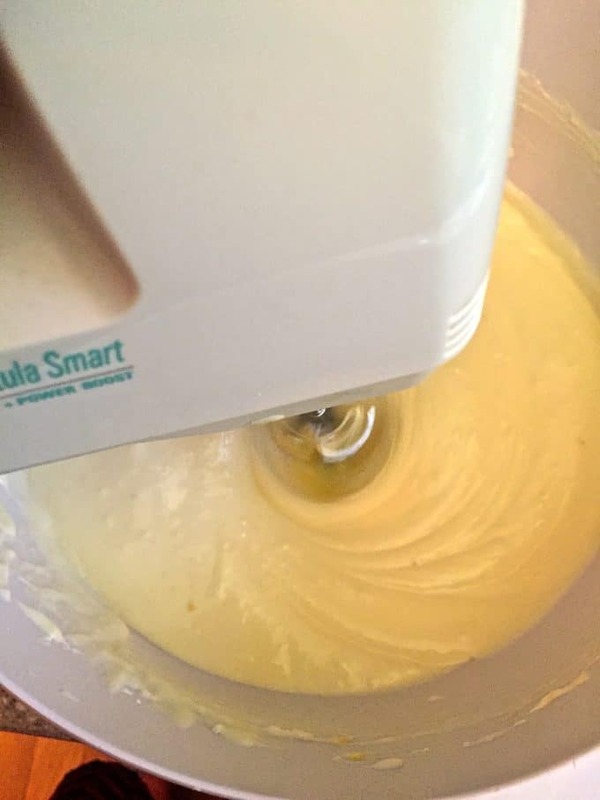 This Luscious Lemon Swirl Cheesecake recipe was adapted from the Vera Bradley Cooking with Friends Cookbook which is the cookbook the hostess of our cookbook club chose for our monthly luncheon meeting. To make Luscious Lemon Swirl Cheesecake, begin by preheating the oven to 350 degrees F.
If you are using whole graham crackers, add them to your food processor fitted with a steel blade. Process until they are finely ground. Add the toasted walnuts and process until coarsely chopped. Add the butter and lemon zest and process until the crumbs are moistened. Pour this mixture evenly into a 9-inch springform pan and using a glass with a smooth bottom, gently press the mixture down until there are no loose crumbs. Bake for 10 minutes. Remove from the oven and cool on a wire rack. Add the cream cheese, sugar, lemonade concentrate, and lemon zest to a large mixing bowl. Beat with an electric mixer until smooth. Add the sour cream and mix well. Add the eggs one at a time and mix well after the addition of each egg. Pour into the crust and bake for 50 minutes. The center will still jiggle slightly when the pan is shaken. Cool for 5 minutes on a wire rack. Run a sharp knife around the sides of the cheesecake to make sure it isn’t stuck to the pan. Stir the sour cream until it is smooth and creamy. In a separate bowl, stir the lemon curd until it is smooth and creamy. Start at the outside edge and use a teaspoon to alternate dollops of sour cream and lemon curd side-by-side in concentric circles on top of the warm cheesecake. Completely cover the top of the cheesecake. 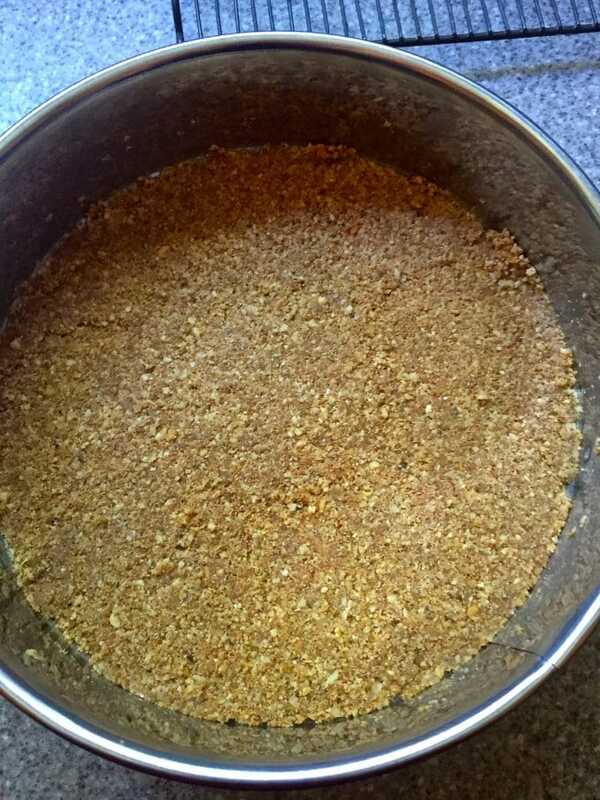 Shake the pan gently to smooth out the mixture. Use a knife to gently swirl the topping to marbleize. Allow to cool completely. Cover and refrigerate for 8-12 hours. Place a large mixing bowl (metal works best) and your electric mixer blades in the freezer for 15 minutes. Place the sugar and heavy cream in the bowl. Beat until stiff peaks form. Run a sharp knife around the sides of the cheesecake again and release the sides of the pan. Place the cheesecake on a plate or cake stand. 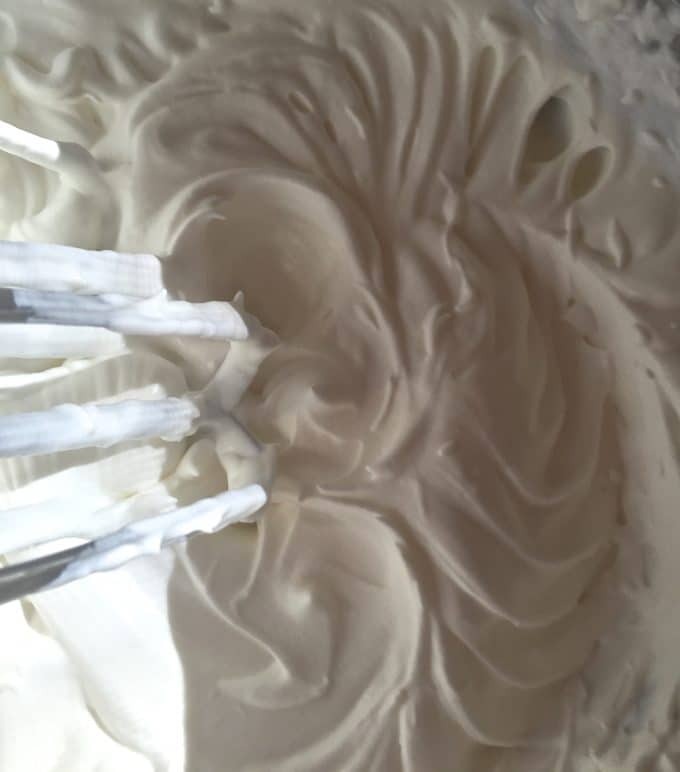 Pipe the whipped cream in a decorative border around the top edge. Garnish with lemon slices and sprigs of mint. Serve immediately and enjoy! To toast walnuts or pecans, place nuts in a single layer on a baking sheet and roast in a 350-degree oven for approximately 10-12 minutes. Cream cheese needs to be at room temperature so it will combine easily with your other ingredients. To bring cream cheese to room temperature, remove from the refrigerator at least one hour before using and leave on the counter for about 30 minutes still in the original packaging. Unwrap and leave it out for an additional 20-30 minutes. Or, unwrap and place in a microwave-safe dish and heat for 10-15 seconds. If heating two blocks of cream cheese, add 15 seconds. If you make this recipe, please be sure to rate it and leave a comment below. I love hearing from you! Also, please follow me on Pinterest, Facebook, and Instagram. Luscious Lemon Swirl Cheesecake is easy, it's elegant, it's out of this world delicious, and it's the perfect dessert to serve for your Easter dinner! Pour this mixture evenly into a 9-inch springform pan and using a glass with a smooth bottom, gently press the mixture down until there are no loose crumbs. Bake for 10 minutes. Remove from the oven and cool on a wire rack. Pour into the crust and bake for 50 minutes. The center will still jiggle slightly when the pan is shaken. Cool for 5 minutes on a wire rack. Run a sharp knife around the sides of the cheesecake to make sure it isn't stuck to the pan. Stir the sour cream until it is smooth and creamy. In a separate bowl, stir the lemon curd until it is smooth and creamy. Start at the outside edge and use a teaspoon to alternate dollops of sour cream and lemon curd side-by-side in concentric circles on top of the warm cheesecake. Completely cover the top of the cheesecake. Shake the pan gently to smooth out the mixture. Use a knife to gently swirl the topping to marbleize. Allow to cool completely. Cover and refrigerate for 8-12 hours.